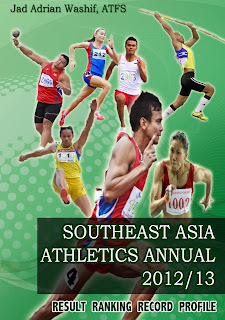 The inaugural Malaysia Athletics Grand Prix concluded yesterday (October 16, 2010) at its 3rd leg/series meet at the National Sports Council Training Track, Bukit Jalil Kuala Lumpur with at least a few pleasing results have produced. Jen Guo Chan of Selangor has jumped to the attention of Malaysia Athletics with a national lead effort of 7.50m, defeating a former SEA Games champion Syahrul Amri of Kedah in the second place in 7.43m and Sabah's Josbert Tinus who could only jumped 7.19m, some way off his national record mark of 7.88m. 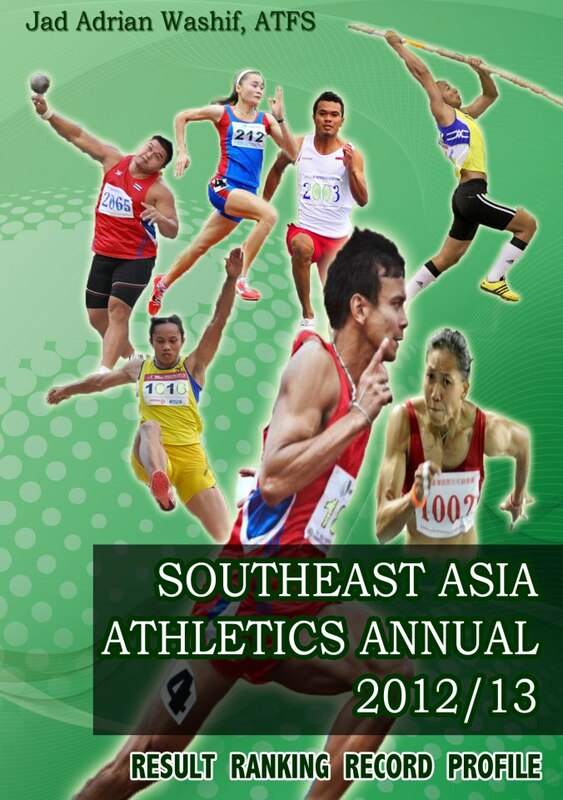 Negeri Sembilan's Kavee Alagan has done a fine job heading to the Malaysia Open Athletics Meet on October 30-31 by a leap of 2.10m to win the men's high jump. SUKMA champion, Nauraj Singh did 2.07m to place second while Azli Ghazali third with 1.98m. Despite a slow time, Mohd Imran Noor of Johor has retained an unbroken winning streak in the men's 100m. He ran 10.87s to win the race and emerged as the overall champion for the 2010 MAAU Grand Prix. Johor's Rohaizad Jamil has no problem to overcome a false start controversy in the men's 110mh to win a first place in 14.62s, ahead of Mohaswadie Mohamed who did 14.97s. Sabah's Rayzamshah Sofian who eventually given a chance to run ia a special race (due to a wrong disqualification) clocked a time of 14.19s. Behind rayzam in the special race was Mohaswadie Mohamed who have improved his time from the 'actual race' to 14.85s. 1, Mohd Noor Imran Hadi, 10.87s. 2, Kannan Subramaniam, 11.10s. 3, Mohd Ikhwan Noor, 11.15s. 4, Zabidi Ahmad, 11.25s. 5, Cyrus Krishnan, 11.41s. 6, Azmi Yim, 11.46s. 1, Mohd Rohaizad Jamil, 14.62s. 2, Mohaswadie Mohamed, 14.97s. 3, Ali Ashraf, 15.29s. 4, Helmi Zainon, 15.38s. 5, Mohs Isaufi Illias, 15.46s. 6, Anslam Sidau, 15.52s. 7, Azizi Ariffin, 16.21s. Rayzamshah Wan Sofian DSQ (False start). 1, Rayzamshah Wan Sofian, 14.19s. 2, Mohaswadie Mohamed, 14.85. 1, Mohd Azmi Kadir, 49.71s. 2, Harmizi Arobi, 49.99s. 3, Shafizee, 51.19s. 4, Hafizi Talib, 52.24s. 5, Jasni Mohd Rizal, 52.53s. 6, Faizul Izuddin, 52.66s. 1, Mohd Jironi Riduan, 1:54.92s. 2, M. Parthiban, 1:56.78s. 3, S. Mathialagan, 1:56.84s. 4, Edison Tuah, 2:04.01s. 5, Uthentaran Muniandy, 2:10.09. 1, Jen Guo Chan, 7.50m (PB/NL). 2, Mohd Syahrul Amri, 7.43m. 3, Josbert Tinus, 7.19m. 4, Mohd Hakimi Ismail, 7.00m. 5, Pang Li Chong, 6.99m. 6, Mohd Syhrul Faiz, 6.65m. 7, Ammar Fitri Zainol, 6.12m. 1, Kavee Alagan, 2.10m. 2, Nauraj Singh, 2.07m. 3, Mohd Azli Ghazali, 1.98m. 4, Navin Raj, 1.98m. 5, Low Kah Loon, 1.90m. 6, Rizal Ahmad, 1.90m. 1, Adi Alifuddin, 16.62m. 2, Mohd Hafiz Hashim, 14.56m. 3, Mohd Alif Hanif Affendi, 13.53m. 4, Mohd Sharin Selamat, 12.46m. 5, Zambri Mat Yunus, 11.31m. 6, Samsudin Ismail, 10.76m. 1, Nurul Sarah Abdul Kadir, 25.51s. 2, Siti Zubaidah Adabi, 25.59s. 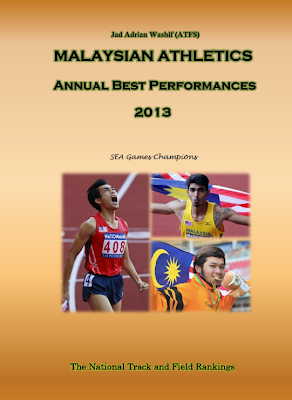 3, Siti Fatimah Mohamed, 25.68s. 4, Noraseela Khalid, 25.69s. 5, Komala Shally, 25.70s. 6, Zaidatul husnia, 26.41s. 7, Siti Aishah Mathir, 28.37s. 1, K. Gantimathi, 4:45.19s. 2, Melinder Kaur, 5:12.48s. 3, Angela Kundang, 5:42.43s. 1, Nauraj Singh Randhawa & A. Kavee Alagan, 2.06m. 3, S. Navin Raj, 2.06m. 1, Nor Imran Hadi, 10.66s.